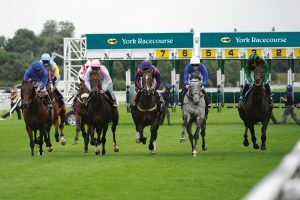 In the Dante Stakes (3.15) at York on Thursday, Midterm did nothing to diminish his lofty home reputation when beating Algometer by 1½ lengths in the Sandown Classic Trial last month with 8 lengths back to the third horse and can maintain his 100% record. Sir Michael Stoute’s colt is the first foal out of six-time Group 1 winning mare Midday, by Galileo, which accounts, in large part, for his prominence in the ante post betting for the Derby, but he is already officially rated higher than Foundation and Deauville, who finished first and second in the Group 2 Royal Lodge Stakes at Newmarket last autumn, and remains open to significant improvement. If he’s to win the Derby, he should win this, and win it well, so doesn’t look bad value at 11/8 currently. 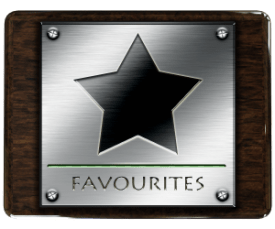 Betting on favourites of course isn’t all sweetness, light and easy money and so it makes sense to show both sides of the coin. You often see people on Betfair trying to cash in to the tune of a few pounds here and there while no doubt thinking to themselves “this is free money”. Above is a prime example of when “free money” goes bad. This 2015 Median Auction Maiden Fillies Stakes clip from At The Races shows 1/20 odds on shot Triple Dip failing to get going, while second favourite Mercy Me romps home at 16/1. A harsh lesson learned for some no doubt! In the 8.45 at Chelmsford on Wednesday, Bowson Fred has yet to race on Polytrack, but ran as well as he ever has on the Tapeta surface at Wolverhampton 11 days ago and looks worth chancing off a 1lb higher mark. The Monsieur Bond gelding was only beaten three-quarters of a length in that 0-90 contest and, with his latest weight rise offset by a drop back into 0-85 contest, he looks to have every chance of resuming winning ways if taking to the surface. Michael Easterby has a very healthy 7-21 (33%) strike rate at Chelmsford and, having recorded his two wins on turf over the minimum trip at Chester and Musselburgh, Bowson Fred should be suited by the flat track. He’s won on good to firm and good to soft going on turf, as well as on standard going on Tapeta, so appears versatile with regard to underfoot conditions, which offers further encouragement on his Polytrack debut. It’ll be disappointing if he can’t build on a highly promising start to the season.